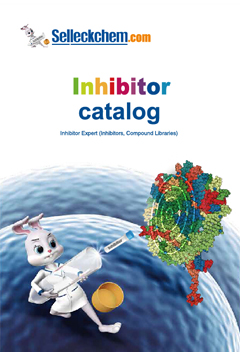 Mirabegron is a selective β3-adrenoceptor agonist with EC50 of 22.4 nM. Takasu T, et al. 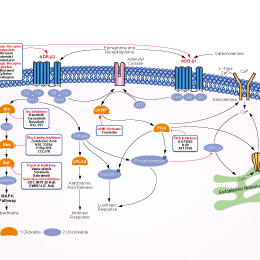 J Pharmacol Exp Ther, 2007, 321(2), 642-647. Takusagawa S, et al. Xenobiotica, 2012, 42(12), 1187-1196. Aizawa N, et al. Eur Urol, 2012, 62(6):1165-1173. Hatanaka T, et al. Naunyn Schmiedebergs Arch Pharmacol, 2013, 386(1), 71-78. Isoprenaline is a non-selective beta-adrenergic receptor agonist, used for the treatment of bradycardia and heart block. Formoterol Hemifumarate is a potent, selective and long-acting β2-adrenoceptor agonist used in the management of asthma and chronic obstructive pulmonary disease(COPD). Phentolamine Mesylate is a reversible and nonselective alpha-adrenergic receptor antagonist, used for the prevention or control of hypertensive episodes. Droxidopa is a psychoactive drug and acts as a prodrug to the neurotransmitters norepinephrine (noradrenaline) and epinephrine (adrenaline). Epinephrine HCl is a hormone and a neurotransmitter. Propranolol HCl is a competitive non-selective beta-adrenergic receptors inhibitor with IC50 of 12 nM. Dexmedetomidine HCl is a highly selective and potent alpha-2 adrenoceptor agonist, which reduces anesthetic requirements for patients by providing significant sedation.